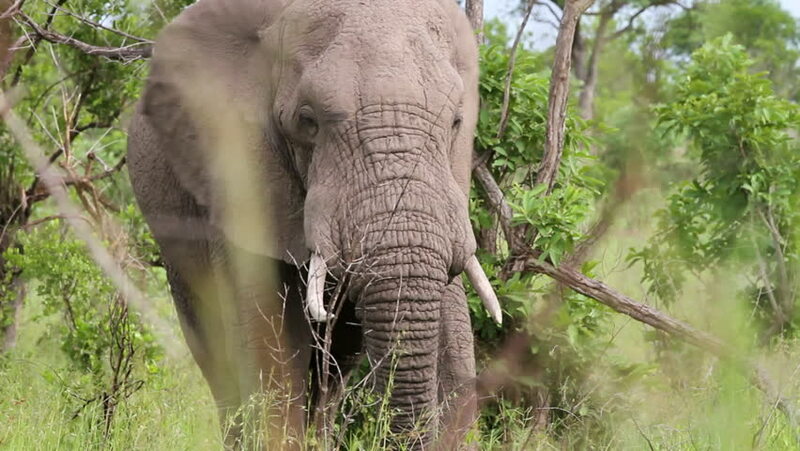 Medium shot of a Male Elephant (Loxodonta africana) calmly eating while in a condition called musth (note the discharge from his temporal glands) in the Kruger National Park. 4k00:16Active lifestyle traveler people adventure in tropical rainforest jungle and explore ancient ficus banyan tree on background amazing wild nature. Amazing 4k footage at morning time. hd00:16Deep in the heart of a thick, lush, green Aspen forest full of beautiful spring flowers.